NEW LABEL : ROBOTMACHINE RECORDS – 1st release by HELIOPAUSE ! The brilliant producer DYNAMIK BASS SYSTEM has just launched a new Electro Label called ROBOTMACHINE RECORDS. 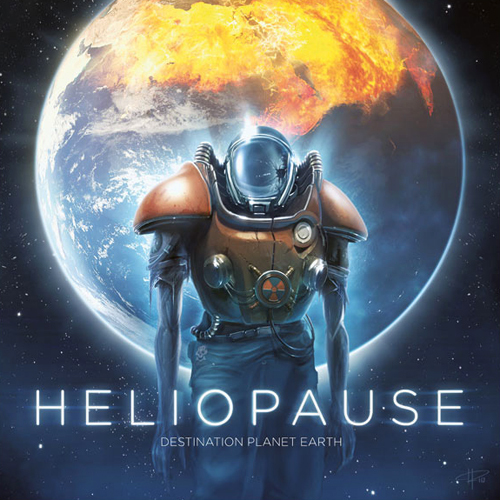 The first release is a mysterious side project entitled HELIOPAUSE. This prototype is a collaboration between the Techno Bass producers AUX 88 [Detroit] and the Electro Funk producer DYNAMIK BASS SYSTEM [Germany]! Both have already a solid reputation in their own music genre and probably anybody will be confuse by this release titled “Destination Planet Earth”. This E.P is based on a Sci-Fi concept including 4 classic Electro-Techno along with a great artwork. The result of the colloboration between DBS & AUX 88 is a very interesting exchange. The sound is well produced and catchy, all that make easier the trip into that strange future world. So, this first heavy release will be successful on the robotic dancefloor. Recommended!